Helloo, and Happy Halloween! I can't believe the 31st is here already. Today I have one last Halloween mani to share with you. 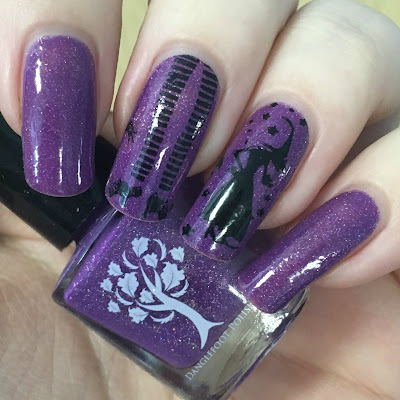 I couldn't go through the month of October without having purple nails at least once, and what better to go with purple than witches?! Here is what I came up with. Read on to find out more! I started with a base of a purple Danglefoot Nail Polish prototype. This is a mix of two different existing Danglefoot polishes - 'Love You Berry Much' and 'Glass Of Fizz'. The two together make a gorgeous glittery purple shade. The formula is very smooth and easy to apply, and it is opaque in two coats. The glitter in this is so fine that it does not dry textured. Below is two coats and topcoat. 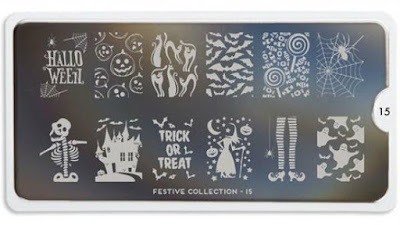 For my stamping, I used MoYou London Festive plate 15. I have been obsessed with this plate all month. I've been wanting to use the witches tights pattern on the bottom row for a while. There are patterns on this plate that I still want to use, but they'll have to wait for next year! 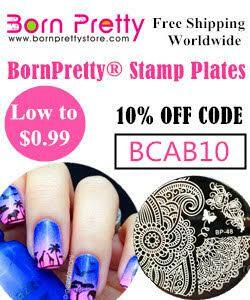 I stamped using my Born Pretty Store clear stamper and scraper, and Pretty Serious Cosmetics 'Absence'. I used the witches tights image on my middle finger, and the full witch image on my ring finger. I was tempted to add black stripes to my pointer and pinky nails, but I thought that might be a bit too much. What do you think? I actually think they came out really nicely! 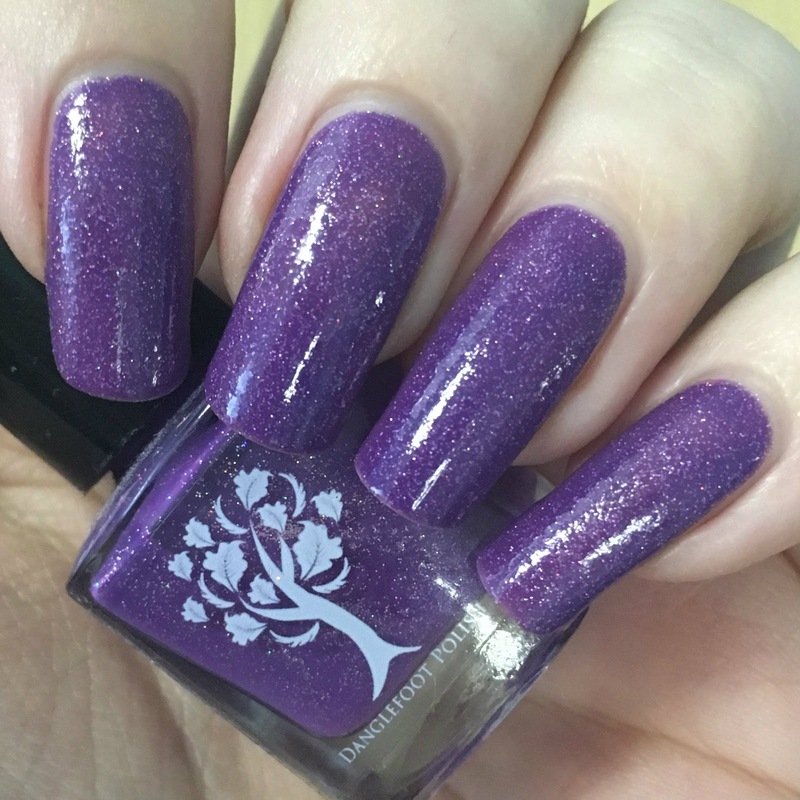 The Danglefoot Polish prototype is such a gorgeous shade of purple, and it suits the witchy theme. I have to say that I'm a little bit sad that October is already over, I was having so much fun with Halloween nails! That being said, I am a fair bit behind on swatching, so maybe it's for the best! I will be have a collage of all of my Halloween manis from this month over on Instagram soon. Make sure you follow me here if you don't want to miss it. Purple Prototype is beautiful. Great shade for Halloween or any day! This was the perfect purple to use for this manicure!! Beautiful and a lot of fun! Love the witch leg design! I was going to do one myself but time ran away with me. Next year it is! I liked the which that you've stamped on your ring finger looks fab.